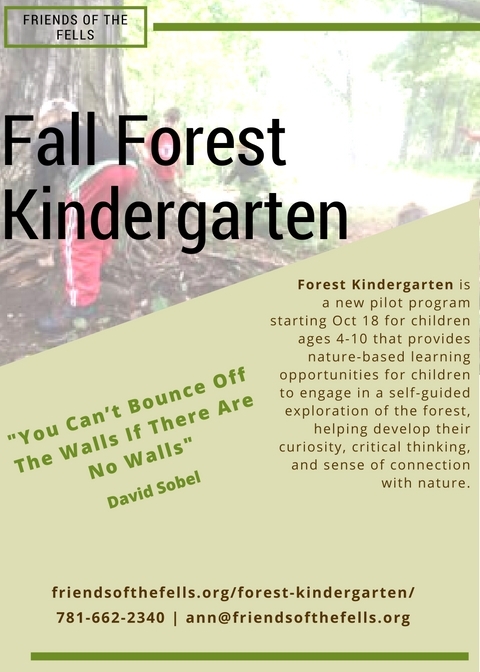 We are a five week program that seeks to provide children ages 4-10 with opportunities to play in and learn about nature. We are a non-profit with only three permanent paid staff and we couldn’t even start doing outreach until last week. The program starts on the 18th. Bordering on five different cities in Metro-North Boston, the Middlesex Fells Reservation is easy to access.